We wanted to take an already extensive online marketing campaign to the next level to accommodate our business’s growth. With the current consumer market trending towards online advertising and review sites, we felt that we needed full-time management and implementation of all aspects of our company’s internet presence through multiple mediums. The initial scope involved handing over existing management of the website, SEO, PPC campaigns, and overall online presence to Thrive. They also designed and built a new company website with updates in branding and increased functionality. The continued scope involves constant management of internet marketing avenues, as well as introducing social media management services. The client is extremely satisfied with the work delivered by Thrive Internet Marketing. The client's online presence has grown significantly, especially in terms of social media and leads/traffic. The client was particularly impressed by Thrive's professionalism, enthusiasm, and communication. Thrive is highly recommended to others. I wanted to drive more business and try to target my key clients as a way to streamline my workload and case types. This would help my firm become more efficient and handle more cases with less work. 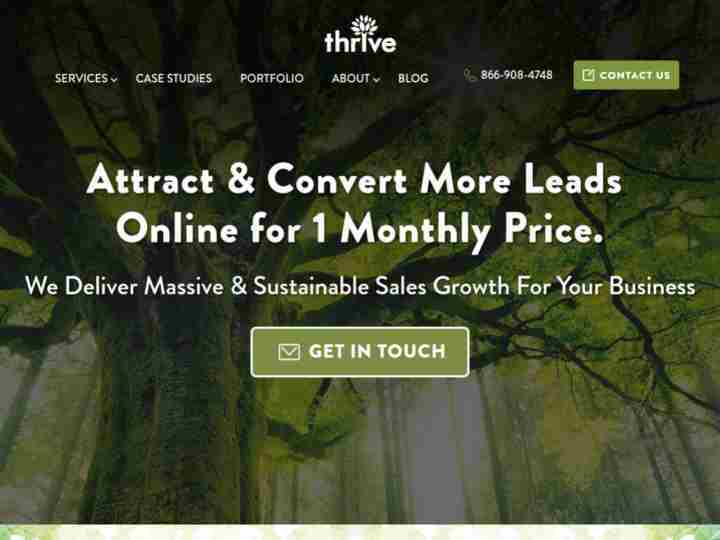 Thrive Internet Marketing's website design was outstanding, and the integration went smoothly. My traffic increased substantially: we got significantly more phone calls and contact form inquiries. The client is extremely satisfied with Thrive's work. The website's design is very appealing and has significantly helped increase traffic, especially in the form of calls and contact form inquiries. The client was impressed with Thrive's project management and ability to delegate tasks effectively. Thrive is highly recommended to others. 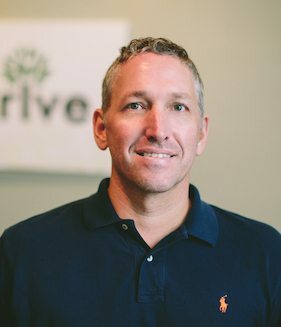 Thrive Internet Marketing is a full-service digital marketing agency in Arlington, Texas that provides our clients with custom WordPress web development, search engine optimization, social media marketing, paid search management, content writing, email marketing, reputation management, conversion rate optimization, and marketing automation services. Since 2005, Thrive has been delivering massive and sustainable sales growth for our clients. Learn more about our award-winning team. A featured client testimonial from Bonds Ellis. A client testimonial from Farah Law Firm. Thrive Internet Marketing Agency just keeps growing! Although much of their workforce is remote, their local team of Marketing Consultants, administrative support staff, and Delivery Team positions has outgrown their Arlington office on Bowen Road, affectionately called “The Farm.” They’ll be keeping The Farm, but the team will be working out of their new 5500 square foot office space located at 700 Highlander Blvd, Suite 180 in Arlington, Texas near the Arlington Highlands and Parks Mall retail shopping centers. Clutch released new research that names the top marketing and advertising agencies and IT and business service providers in Los Angeles. These 142 companies were ranked based on services offered, market presence, work quality, and client feedback. Matt, and his team, always deliver a beautiful design within budget and on time. They are fantastic to work with, and great people. Ive been working with Jacob Wulff for almost 4 months now. I am brand new to the PPC world. It has been a learning process, but Jacob has been patient, kind, and reassuring throughout. I look forward to working with him on the SEO side of things as well! Thrive has been a very professional company to work with. They have taken Craneco's website to a totally different level in our very competitive market. 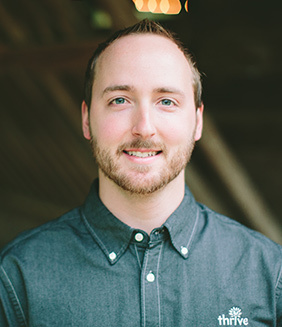 Jacob has been working with us the last 2 years and he really has done a phenomenal job to create new business for Craneco. So I want to take the time to Thank Jacob Wulff for all his hard work. 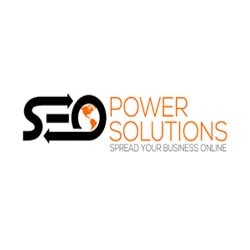 I've worked with Alan Muther at Thrive Marketing for years and he's done a very good job performing search engine optimization for our company. He always keeps me abreast of the latest trends and quickly responds when I contact him. Because good internet rankings are so important to our company, I rely on him a lot. Two thumbs up! Alan Muther has handled our account very thoroughly with Nationwide Construction. 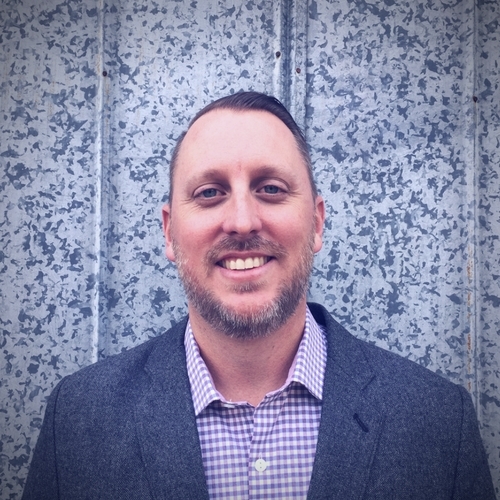 My role in Business Development requires me to wear many hats, and Alan's competency and capability has allowed me to rest easy knowing that he and Thrive are on top of our website and our general online presence through various outlets. Greatly appreciated, Alan! Thrive has been a great partner in the digital arena. The communication and execution of all tasks have been exemplary. I would recommend them and will continue to use them for clients both large and small who need a focused digital marketing team. This was the first time I developed a web site so I couldn't have asked for a better or easier group to work with. The entire process from sales through development and launch was timely and extremely efficient. A fantastic experience all around! Thrives's Customer Service and efficiency is of the upmost level of professionalism. Thrive's team of professionals were able to not only catch and understand our vision, but they were able to make it better in ways beyond our expectations. We couldn't be happier to have chosen Thrive to serve and to guide us with our internet Marketing.